The kidneys play an important role in the human body: they are designed to remove unnecessary particles in the blood and send them to the bladder, where they can eventually be passed through urine. Kidneys also work to help regulate the amount of salts and minerals that are present in the body. Because they are so integral to several bodily functions, when kidneys aren’t working as they should it can lead to health problems that are hard to deal with if you let them go untreated. Kidney diseases are particularly serious because they can lead to a dangerous amount of waste remaining in the blood, which can lead to problems like swelling, vomiting, shortness of breath, and other significant conditions. If kidney problems are not addressed, the kidney may stop working altogether. Once this happens, the patient will need to either get a kidney transplant or use a dialysis machine to carry out the functions of the kidney. Luckily for those suffering with kidney ailments, there are some approaches to kidney disease management that can help you reduce the likelihood that your kidney issues have serious, long-lasting repercussions on your body. 1. 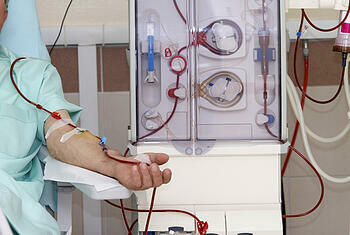 Dialysis: One of the most common treatments available for those with kidney disease is a dialysis treatment. These machines are helpful for kidney disease management because they function in the same way a kidney does: they help remove waste from the blood to keep it balanced throughout the body. You can get dialysis treatment at a hospital or a well-equipped rehabilitation facility. 2. Prescription Medication: Before dialysis treatment, most doctors will attempt to control the kidney problem by using certain medications. Blood pressure medicine is often used for kidney disease management, because high blood pressure can be a contributing factor to kidney ailments. Your doctor may also prescribe medicine that helps you better control the production of red blood cells. 3. Changing Your Diet: Another great method of managing kidney disease is improving your diet. If your kidney is still functioning and you are in the early stages of kidney disease, your diet can help you reduce the likelihood of coming down with other ailments as a result of your kidney disease. Which foods should you choose to help strengthen your kidneys? According to major kidney care provider DaVita, the best foods are the ones that contain antioxidants to help cut down on particles in the blood that can be dangerous when they build up to excessive levels, like cholesterol and fats. Some of these foods include cabbage, apples, cauliflower, and blueberries. No matter which kind of kidney ailment you are suffering from or how serious it is, the smartest thing you can do to treat it is get in touch with a dependable provider of care that you can completely trust. 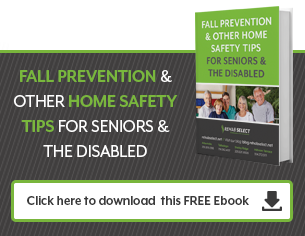 With assistance from a reliable healthcare professional, you will find that managing your kidney disease is very possible so that you can live a life full of all of the activities that you love partaking in the most.